TFC-4 will kick off one week from today. With over 100 presently signed up, we expect a crowd of around 150. Last December, 67 coaches signed up in the last week. You will never find a more diverse crowd. Track, football, cross country, and basketball coaches have all attended. We’ve attracted attendees from over 20 states. Next week three coaches will fly in from California, three from Texas, and one from Florida, Louisiana, and New York. A professional ski coach from Europe has booked his flight. In the past we’ve had high school sprint stars including a girl’s state champion from Iowa. Coaches from the high school, college, and professional ranks will be represented. The common thread will be speed. The now-famous exchange between Chris Korfist and a football coach speaks volumes. Stuart McMillan is the Performance Director and Sprint Coach at ALTIS. Stuart works with the fastest athletes in the history of the world, including Andre De Grasse (age-21). Stuart has never been to Chicago. Let’s give him a big reception. The other twelve speakers are, in my opinion, each worth the price of admission. I’m personally excited to hear the presentation given by Coach Al Leslie of Saline, Michigan. After seeing his material, I am blown away. Football coaches will have a chance to learn from five of the best high school coaches in the country: Coley Candaele, Troy McAllister, Joe Palka, Lou Sponsel, and Dan Fichter. 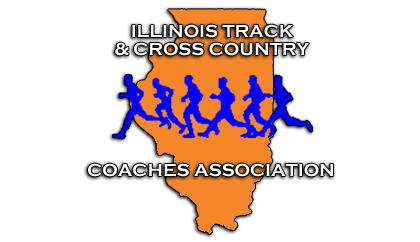 Track coaches will include Chris Korfist, Tony Holler, Alec Holler, Al Leslie, and Coley Candaele. All five have won state championships. Strength & Conditioning coaches include Joel Smith, Blake Selig, Dan Fichter, Lou Sponsel, Josh Bonhotal, and Matt Gifford. Reflexive Performance Reset is the icing on the cake. Concessions: Food, drinks, coffee, etc. Proceeds benefit Hinsdale Football. Hotels: Several of our speakers will stay at the Hilton Chicago Oak Brook Hills Resort & Conference Center, but there are dozens of hotels in the area. Cost: $175 early bird expires at 6:00 pm Thursday, December 1st. $225 at the door. Auditorium is at southeast corner of school. Park in either lot. This year we have plans to video all 25 presentations. Those attending TFC-4 will be given a discount code to purchase the videos for around $25. No longer will attendees agonize when choosing one presentation over another. You can eventually see them all. This package will be offered to the general public for $200. Distance Coach – Branch out, learn the mindset of sprint coaches. Learn to connect with football programs. Learn about alactic training. Head Football Coach – Learn how to be a speed-based team. Get your assistants on-board. Take a new approach to 2017. Strength & Conditioning Coaches & Personal Trainers – Expand your craft, build on the discoveries of others. There’s more to training than hard workouts. Copycat training is a disease. There’s more to training than hard workouts. Know-It-All Young Coach – These guys are everywhere, don’t let them continue to fake it. Then again, TFC-4 may make their heads explode. The Weekend Warrior Coach – Yes, you played high school football and you can talk the talk. However, taking chemistry in high school doesn’t make you a chemist. Taking chemistry in high school does not make you a chemist. Female Coach – Every clinic I attend seems to be 90% men or those who coach on the guy’s side. Why are women’s coaches poorly represented? Athlete – Why should coaches be the sole focus of athletic education? Why not empower athletes? Sprint Coach – The best coaches I know are always asking questions, always seeking a better way. It’s a journey. Parents – I hate to say it, but uninformed parents fall prey to bad training programs. There are trainers everywhere who will take money and promise big things. Far too often, lifting weights and pulling heavy sleds are meaningless activities. If speed is not improved, you’ve wasted your money. Coaches of Non-Sprint Sports – Huh? Yes, max speed development improves athleticism. Linear max speed is an exercise like no other. No other exercise moves the body at over 10 meters per second. No other exercise recruits a higher percentage of fast twitch muscle fibers. How would I train basketball players in the off-season? Max-speed. How would I train volleyball players in the off-season? Max Speed. How would I train hockey players in the off-season? You guessed it, max speed. Andre De Grasse, age-21, won silver in the 200 and bronze in the 100. He also ran in Canada’s bronze-winning 4×1. His coach, Stuart McMillan will speak three times at the Track Football Consortium at Hinsdale High School December 2nd and 3rd. Linear max speed is an exercise like no other. No other exercise moves the body at over 10 meters per second. No other exercise recruits a higher percentage of fast twitch muscle fibers. If you have questions, don’t hesitate to email tony.holler@yahoo.com or text/call 630-849-8294. Remember, the early bird rate of $175 ends Thursday at 6:00 pm.